Stravinsky in the Americas explores the “pre-Craft” period of Igor Stravinsky’s life, from when he first landed on American shores in 1925 to the end of World War II in 1945. Through a rich archival trove of ephemera, correspondence, photographs, and other documents, eminent musicologist H. Colin Slim examines the twenty-year period that began with Stravinsky as a radical European art-music composer and ended with him as a popular figure in American culture. 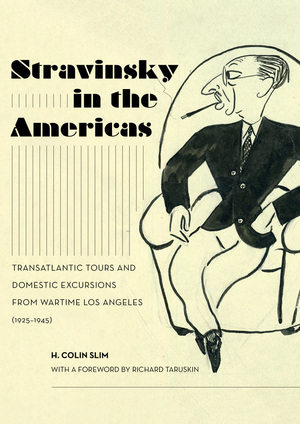 This collection traces Stravinsky’s rise to fame—catapulted in large part by his collaborations with Hollywood and Disney and marked by his extra-marital affairs, his grappling with feelings of anti-Semitism, and his encounters with contemporary musicians as the music industry was emerging and taking shape in midcentury America. 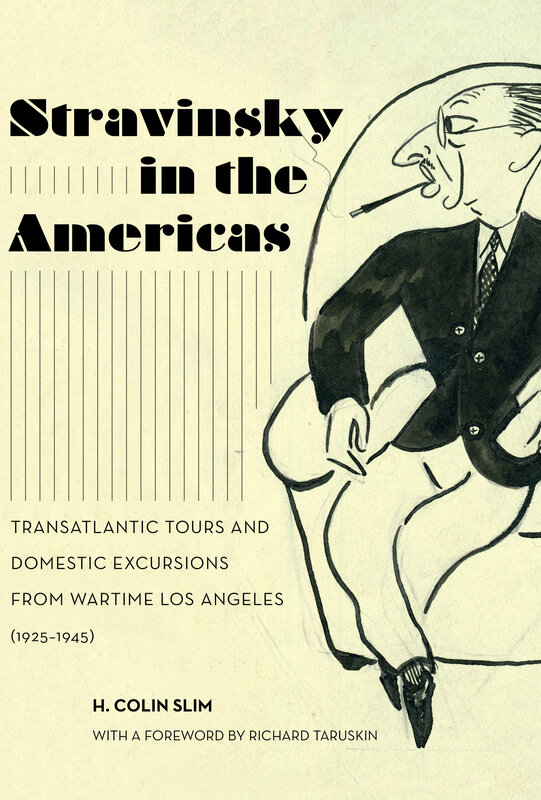 Slim’s lively narrative records the composer’s larger-than-life persona through a close look at his transatlantic tours and domestic excursions, where Stravinsky’s personal and professional life collided in often-dramatic ways. H. Colin Slim is Professor Emeritus of Music at the University of California, Irvine, where he served as the first Chair of the music program. He is past president of the American Musicological Society (1989­–1990) and a Fellow of the American Academy of Arts and Sciences. His two-volume A Gift of Madrigals and Motets was awarded the Otto Kinkeldey Award. He met Igor Stravinsky in 1952 and again in 1966, events that inspired a lifelong interest in the composer’s personal and professional life. His collection of Stravinsky ephemera, manuscripts, and documents was donated to the University of British Columbia, which published an annotated catalog of the collection in 2002.